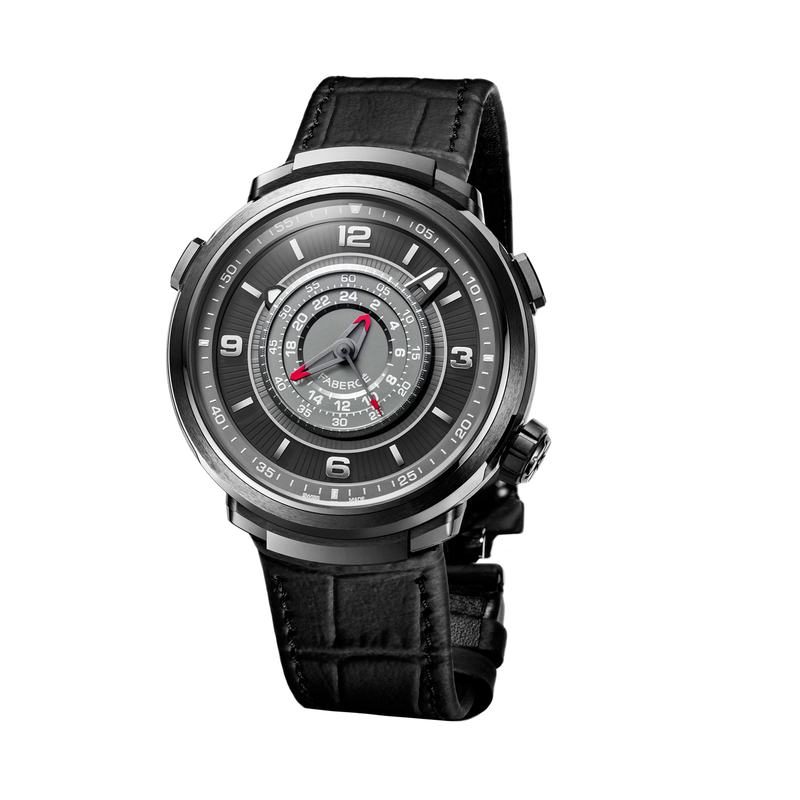 Fabergé Watch Experience! 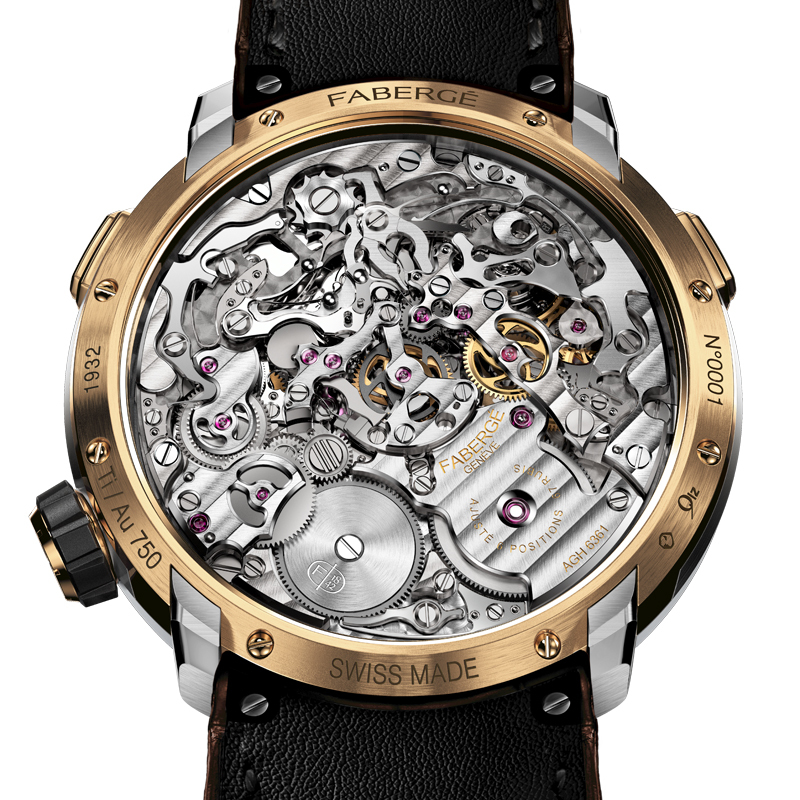 Pick up your handcrafted timepiece at the Fabergé atelier in Switzerland. The stars, and the time they measure, have seen many stories start and end. Some stories end abruptly, others echo down the eons. 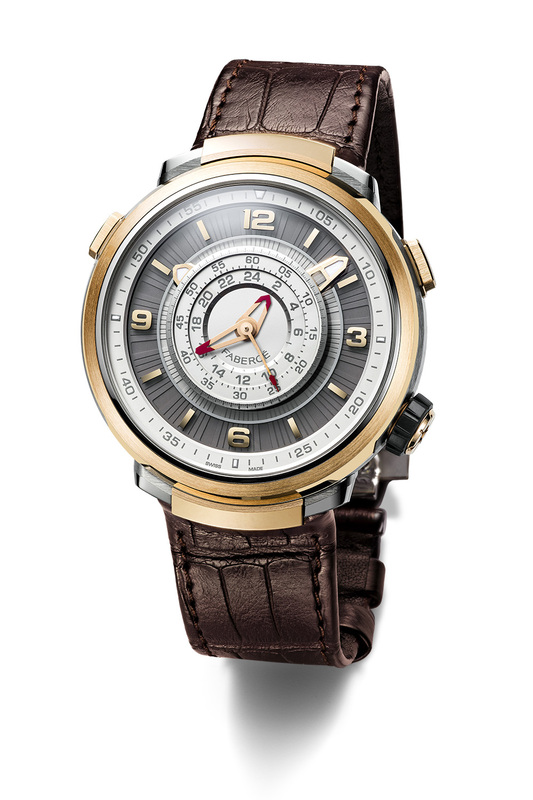 To mark 100 years after the start of the Russian Revolution, Fabergé presents a chronograph of revolutionary significance in the horological cosmos, paying homage to the unfinished Constellation Egg of 1917.
chronograph complication. 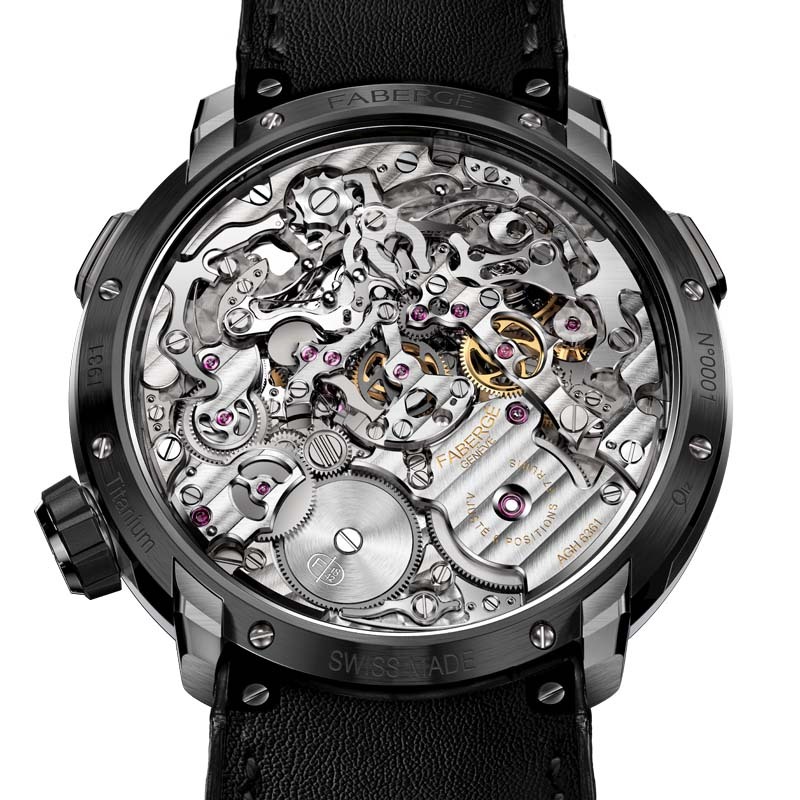 It is the modern-day analogue to a Fabergé egg — a mechanical opus with wonder at its heart. 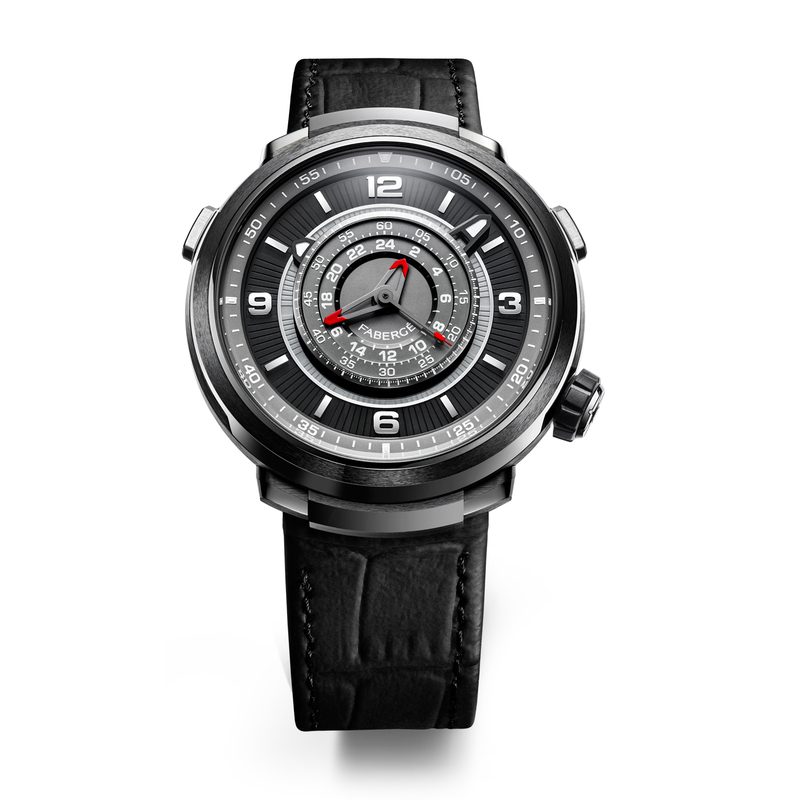 Fabergé Visionnaire Chronograph Ceramic timepiece features an opaline dial with TCI luminescent coating 15-minute indicators, sapphire with metallic treatment and applied numerals and hour indicators and an automatic chronograph movement of revolutionary significance, developed by Agenhor, encased in a 43mm black ceramic and titanium case, with alligator strap.